I got the Evilla Motorsports strut tower bar last week and installed it on Saturday. I followed their installation video, and it was indeed a very easy install. The 4 small clips that keep the cowl in place all broke. I managed to find similar enough clips at AutoZone though. One issue I have with the installation is when cutting the cowl piece to allow it to come down over the strut bar. I followed the installation video, but I still managed to incorrectly cut the two front locations a bit. It would be really nice if they supplied a cutting template for this that minimizes how much material you cut out of the cowl piece. I emailed Eli about it, and he said that Kia has made slight changes between years, but I believe the 2nd gen Fortes all have the exact same cowl piece. I could be wrong though. 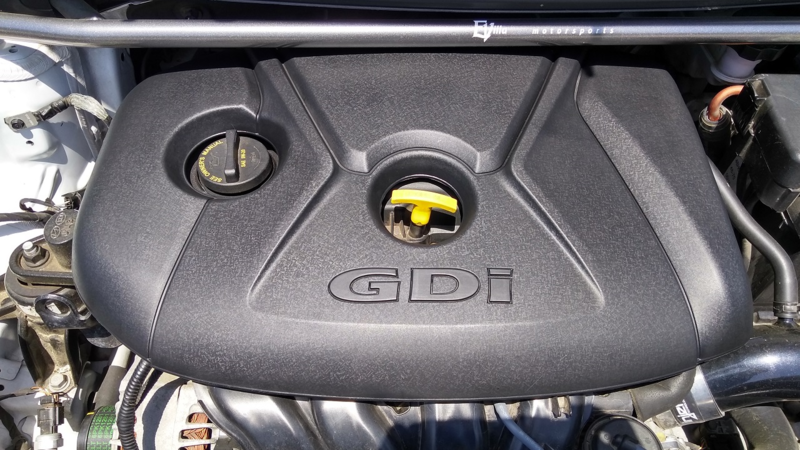 The other issue that I discovered is that on the 2.0 GDI (non-turbo) engine, the strut bar comes so close to the engine cover that it is not easily possible to remove or replace the engine cover with the bar in place. 3 of the 4 mounting points for the cover easily pop off, but the rear driver side location is right under the bar, and there's no vertical room. I managed to force it out, but then I couldn't get the engine cover out from under the bar. I also couldn't get the cover back in place. I ended up having to completely remove the bar in order to reinstall the engine cover. Just like the rear torsion bar, the strut bar is a very well designed and constructed piece. 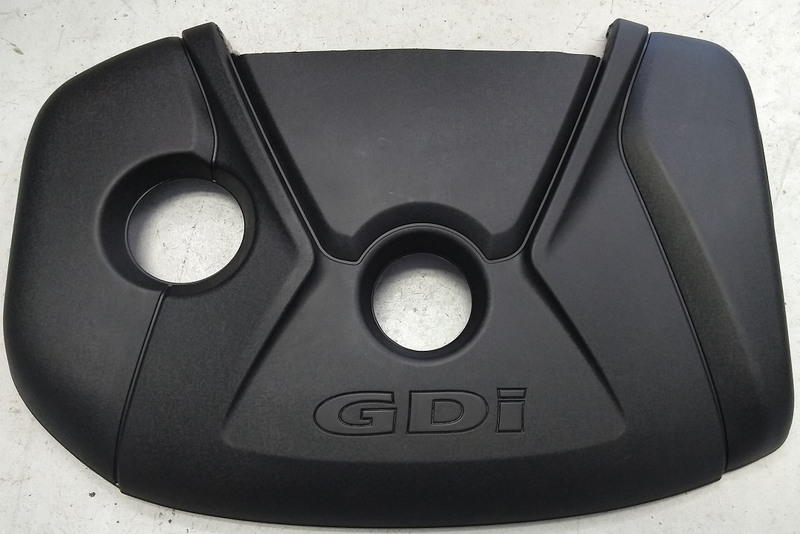 It's powder coated and looks great. I've only driven 20 or 30 miles with it in place so far, so I can't really judge the improvement yet. It's definitely not the night and day difference that the torsion bar made (go get one! really! ), but I'll update this thread with more feedback once I've had a chance to really do some good testing. I just did some high speed driving on one of Austin's toll roads (75mph speed limit, and of course I maintained the speed limit, ahem), and now I can tell a difference with the strut tower bar installed. High speed driving is definitely more stable. Like the torsion bar, I wish I had installed this long ago as well. I'll be back on the F1 track March 1-3, so that will be a really good test of the new torsion and strut tower bars. I really didn't like that I couldn't easily remove and replace the engine cover with the new strut brace in place, so I decided to do something about that. 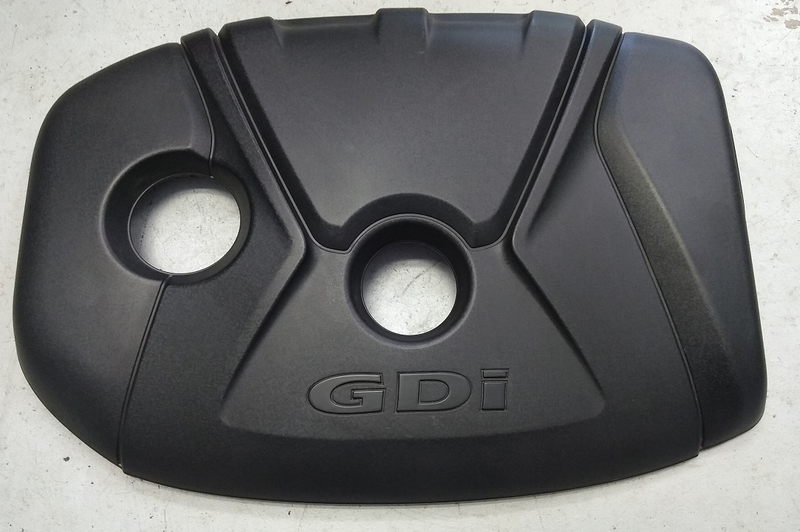 I found a used, good engine cover on ebay for only $40, so I bought that. I figured out where the cover interfered with the strut bar and cut out that section of the cover.